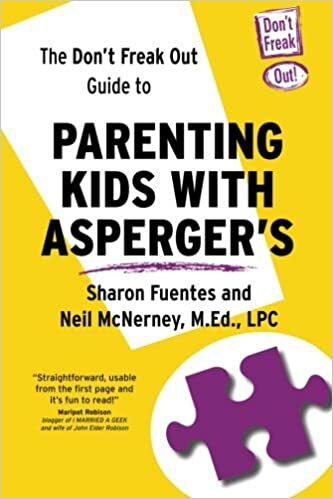 A couple of weeks ago my good bloggy friend Karen from Confessions of An Aspergers Mom posted about her son and how upset he gets about something simple like crossing the street outside of the designated crosswalk (Click HERE to go to the post I am talking about then come back… don’t worry I will wait for you!). Anyway I commented on her post how I could relate to this, as Jay too is a RULE FOLLOWER. This past weekend is a great example of just that. It was a jam packed weekend filled with major sensory overload. I find it interesting that the more out of the normal things are the more my son becomes a “LAW ABIDING CITIZEN”. It is as if in order to regulate himself… he has to regulate others. Hmmm… I know he says he wants to be a doctor but perhaps the kid will follow in his old man’s footsteps one day? Friday we decided to watch our community fireworks from a far. Instead of going to the Town Center where they were being launched, we joined a few neighbors and headed over to the elementary school playground to view the splendor. We left the house late and were trying to hurry over to make sure we didn’t miss a single minute of the show. Instead of crossing in an “L” pattern inside the crosswalk, I started to go across the empty street in a diagonal. My son was shocked… no shocked does not describe it well… his look was more like he was horrified almost appalled by me. For 15 minutes I had to listen about how I broke a law. How could I have done that? I was so thankful when the our neighbors broke out sparklers and Jay happily skipped off to partake in the fun and leave me and my corrupt self alone. We had another moment of wrong vs right on the actual 4th of July. It seems hubby still had some stuff leftover from our last trip to South Carolina. Hubby, who on the 4th of July I always refer to as Dr. Destruction, affectionately of course, brought out some BIG GUNS. Jay was torn. He LOVES fireworks but was uncomfortable because he feared, “… according to the American Pyrotechnics Association (APA) some of our so called backyard fireworks may not have been of the consumer type. They in fact may have been meant to be used in only public displays by trained Pyrotechnic Professionals.” He was quick to point out that his father was not a trained pyrotechnic professional even if he thought he was. I couldn’t argue with the kid on that one. Especially after a misfire from one of his little babies almost landed in my garage! At one point my son got that same horrified appalled look for his father that he had for me when I recklessly crossed the street. I hate to admit it, but I actually enjoyed not being the only “BAD” one. Besides… I always had a thing for Bad BOYS! Tinkerbell is my rule nazi. Our days are filled with rule violation reports from her, and she expects me to dish out the punishments for every single infraction. This cracked me up so much! My daugter is the exact same way! She’s ALL about following the rules…oh, and safety!